Several systems of strategic analysis have been derived from the ancient Chinese text, Yijing (I-Ching), to inform decision-making on essential aspects of life. Two in particular—the Bazi Suanming and Qimen Dunjia—have great value in medicine, and were valuable tools used by the Daoist master physicians Sun Simio and Ge Hong. “The Calculation of Life According to the Eight Signs” is a sophisticated model of Chinese constitutional and medical chronobiology and chronopsychology that has become the central psychological system of Chinese culture. Through understanding the fundamental relationships between the heavenly stems, hidden heavenly stems, and earthly branches, participants learn the basics of composing and interpreting individual “bazi” charts. This information has highly practical implications for clinical practice. These courses deepen the ability to diagnose psychological dysharmonies, with IV focusing on partnership analysis. 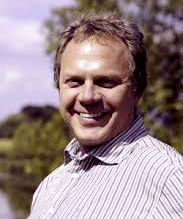 Dr. Kubny is an expert in the history, theory and practice of the Traditional Chinese Sciences. 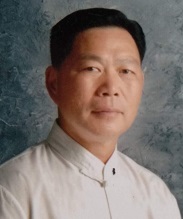 He is fluent in Chinese and has been initiated into the methods of Taiji Quan, Feng Shui, and Traditional Chinese Astrology (Bazi Suanming) by Chinese masters. He is one of the few Western experts able to read and interpret the visionary texts of classical and modern Chinese literature in the original language. As a result of 10 years of research in the original Chinese sources, Dr. Kubny created the very first textbook of Bazi Suanming in any Western language. Qimen Dunjia complements the Bazi Suanming in using the heavenly branches and earthly stems to understand a person’s strengths and weaknesses, as well as their predisposition to certain types of disease. Qimen Dunjia can be used to predict what choices an individual can make to support their health and well-being, and is particularly useful when making lifestyle choices related to location and direction. Through 30+ years of self-fashioned study of the ancient Daoist arts, Mr. Gao Fuquan has become an expert in the theory and practice of Feng Shui, Bazi Suanming and Qimen Dunjia. A disciple of renowned Daoist master Wang Qingyu, Mr. Gao has studied more than 2,000 texts on Chinese metaphysical practices. He has applied this ancient wisdom in today’s world to benefit the lives of thousands of clients.